Smartphone SpeedQuizzing in Kent. The revolutionary new format for your quiz, no pen and paper, no cheating, fast and furious and played in teams with one smartphone or tablet. How does Smartphone SpeedQuizzing work? A host or hostess will read out questions from a microphone. Teams sit around tables and aim to answer as many questions as possible in order to score more points than other teams. Questions are asked in rounds of 10 – 20 questions with breaks in between to allow for drinks etc. Teams socialise, drink, debate answers, laugh, joke, brag and enjoy banter with other teams. Rather than have an unspecified time to write an answer down, teams are given a time limit (normally 10 seconds) during which time they have to decide on an answer and input it using their tablet or phone. Generally answers are submitted by a single tap on the screen with either the 1st letter, number or multiple choice letter depending on question type. Picture questions require 2 taps. Everyone’s screen is synced with the hosts router, and appear at the same time. Scoring is taken care of automatically by the hosts laptop with the leader board accessible at any time or often displayed on a projector or TV. Unlike a traditional quiz, answers are revealed immediately after each question, causing increased social interaction between team members as well as competing teams. The Quiz People have revolutionised the way we think about pub quiz events, but more specifically the Smartphone SpeedQuizzing software has enabled the Great British pub quiz to evolve into something truly new and incredible. Gone is the slow, gone is the cheating (that has undermined the integrity of pen and paper quizzes for generations) and the days where quiz contestants are required to mark each others questions… thankfully this is now a thing of the past. Join the revolution and let The Quiz People provide a thrilling night! 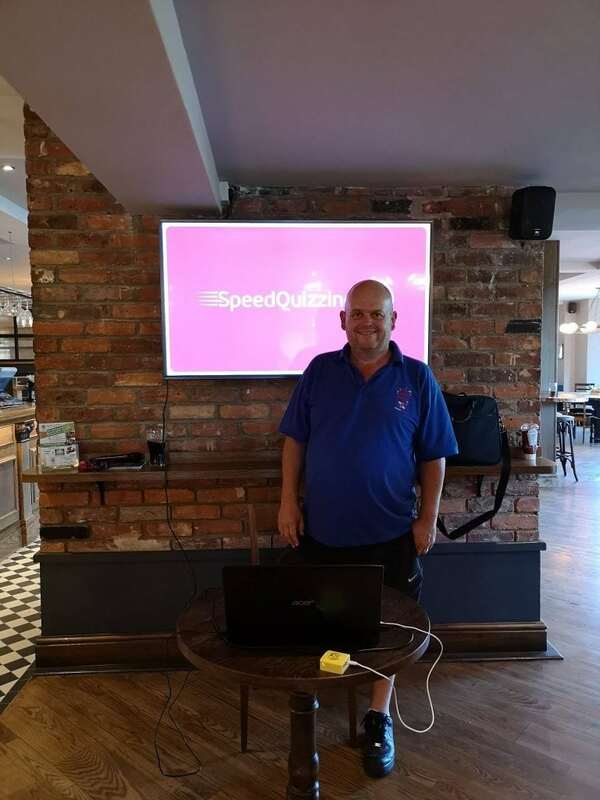 We host TEN Smartphone SpeedQuizzing events in the Kent area on a weekly basis. HIRE US TO HOST A BESPOKE EVENT FOR YOU.